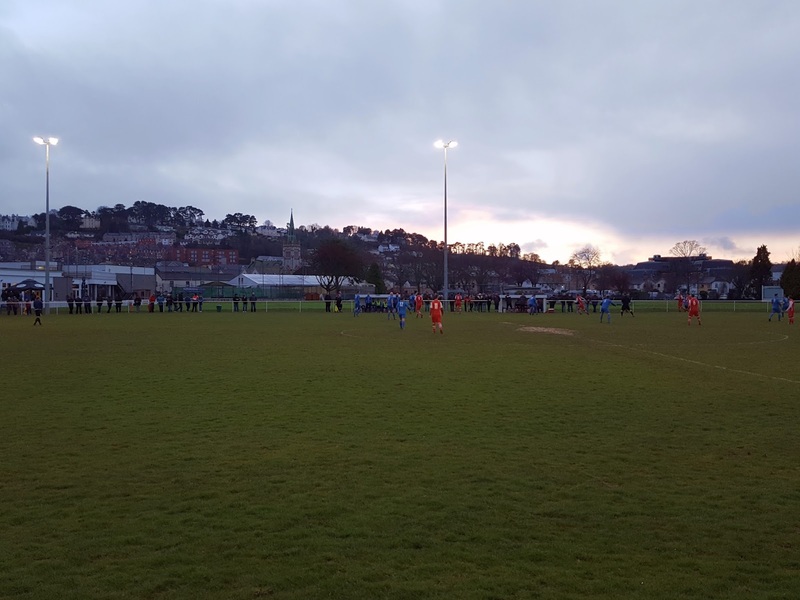 My fifth ground of 2018 was on Thursday 29th March at the Recreation Ground in Newton Abbot, Devon. 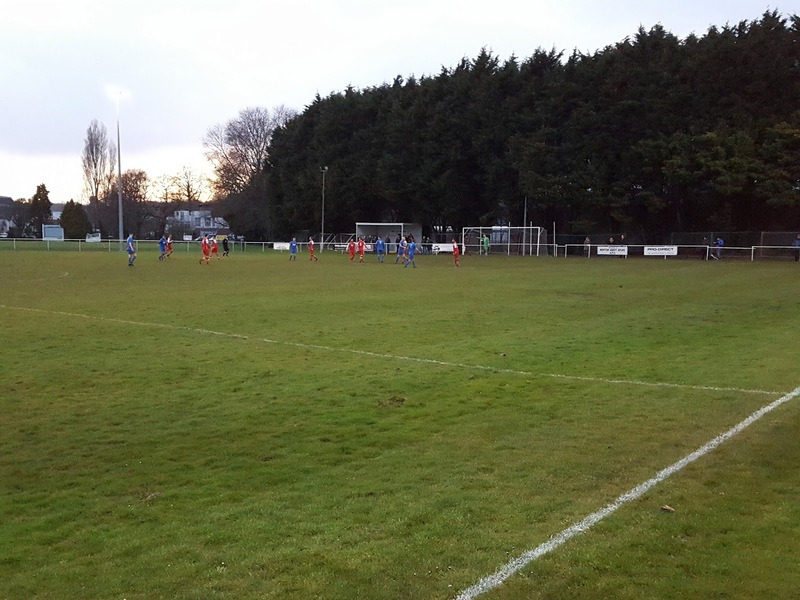 The match was Newton Abbot Spurs vs. Teignmouth in the South West Peninsula League Division One East. The football arena forms part of a sports complex known as the Recreation Ground which is close to Newton Abbot town centre. The rest of the site includes squash and tennis courts and a cricket field bordering the southern side of the football pitch. The remaining sides see the ground next to flats to the north, a layer of trees and a technical college to the west and the car park and the River Lemon to the east. With its central location the venue is less than half a mile from the town railway station and has been home to the club since 1947. The eastern end of the ground has the entrance to the facility and there is a clubhouse with a separate bar room in the main building in the south-east corner. Outside of this is a patio area with picnic benches allowing spectators to view the game. Moving to the area behind the football field itself there is a food outlet next to the entrance and the Terry Wilson Stand - an all-seater stand with 71 seats. The rest of the eastern side is uncovered standing though there is a carved out brick section as a memorial to departed individuals important to the club - this area has three park benches as well as five commemorative plaques with the individuals' names on them. Directly behind the goal there is netting to save balls from the car park or the river. The only other stand is the Willie Boyd Stand at the western end of the Recreation Ground. This is a covered area of hard standing with the rest of this end uncovered and mostly grass underfoot rather than hard standing. The northern and southern side are both uncovered standing for their whole length - with the adjacent cricket field the southern side does have a lot of space for spectators to view from. This side also has the two dugouts. 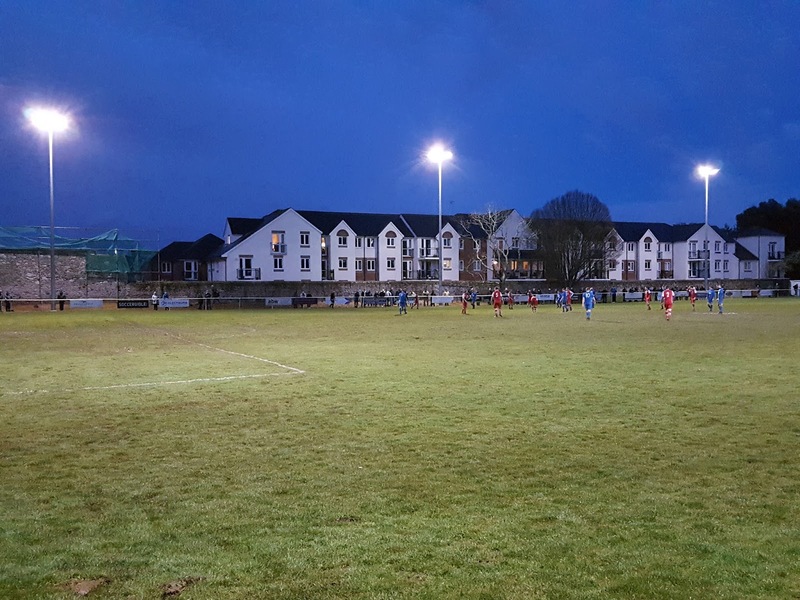 Newton Abbot knew a win was required to keep up the pressure on league leaders St Martins and took an early lead in the 13th minute when a cross from the right found Ollie Aplin in the box and his close shot was deflected past the keeper. The lead only lasted five minutes though as a Teignmouth corner to the back post was met by a powerful header into the top corner by Sean Ayre. Newton Abbot had the better play in the first half and created more opportunities though the visitors did have a stronger end to the opening 45 minutes. Five minutes after the break the hosts went back ahead when a free-kick from the right found Chris Metters and he headed into the bottom corner from six yards out. Just after the hour mark the home side almost scored again when Ollie Aplin was put in on goal but the visiting keeper was able to put him off just enough for his shot to go the wrong side of the post. 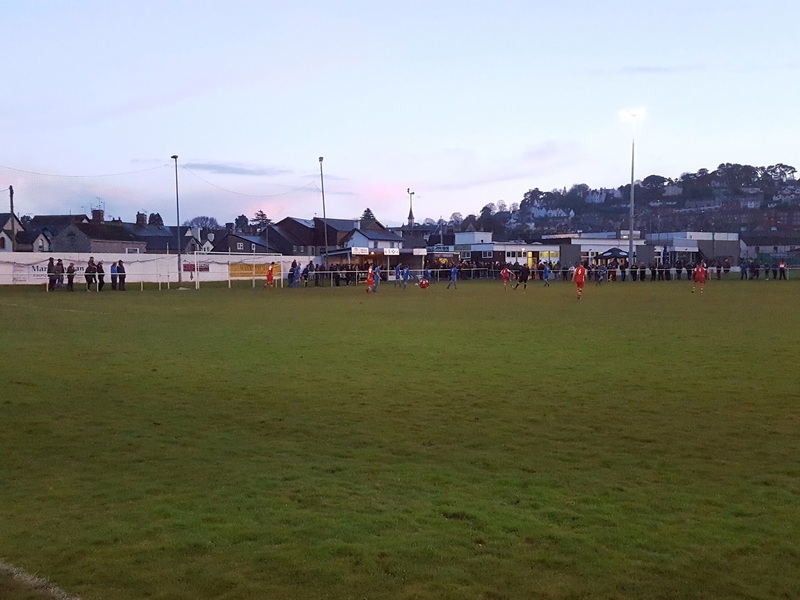 Teignmouth then went close to an equaliser in the 76th minute when a spectacular 30-yard shot came back off the crossbar. Things were made harder for the visitors in the 83rd minute when they had a man sent off for picking up a second booking after pulling back a home player on the edge of the box. Despite this Teignmouth did have one last chance in injury time when a scramble in the area saw a shot blocked on the line. 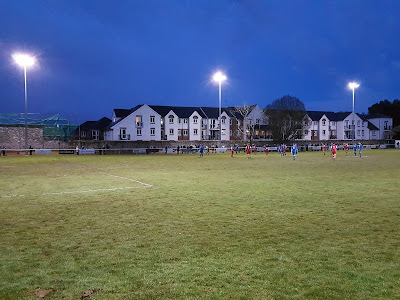 As the hosts got the ball clear and went to run down the clock in the corner the frustration of one of the visiting players boiled over as he kicked the Newton Abbot player right in front of the referee. This blatant foul resulted in Teignmouth being reduced to nine men and the final whistle followed shortly after he left the pitch.